Methinks I could live in these clothes! 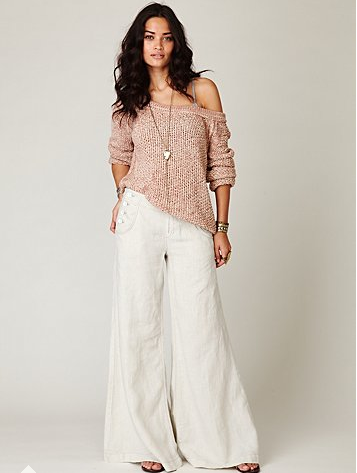 Free People has the most eclectic mix of styles in lovely neutral tones that look beyond comfortable. From oversized sailor pants to flowing skirts, I just love it all. How adorable is that pleated mini skirt? Hello Spring! i totally want that first outfit!! so comfy and still stylish!! Wow, all of these outfits look so comfortable. And so pretty.